Thanks to a continuous research and development programm, METALSISTEM&apos;s pallet racking series distinguish themselves by a unique product design, ease of assembly and versatility, as well as utmost cost efficiency thanks to a fully automated manufacture process. The automated production facilities for the cold profiling of metals have enabled METALSISTEM to achieve highest levels of productivity. Rigorous laboratory tests are conducted on the steel entering production, and on the final product, thus ensuring the continuing evolution of efficiency and quality standards. 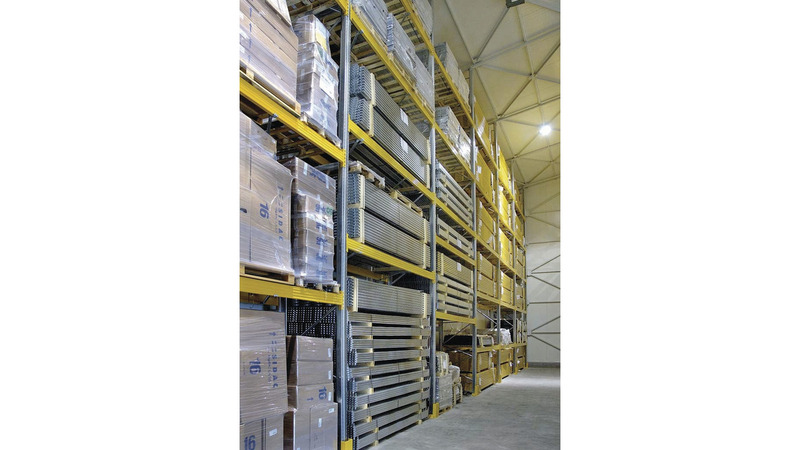 All METALSISTEM pallet racking series are perfectly suitable for DRIVE-In and PUSH-BACK applications, providing increased usage flexibility and pallet accessibility across both tunnels and storage levels in height. DRIVE-In and PUSH BACK installations allow the maximum use of space and volume due to the elimination of access aisles.